If you wish to study accounting in Hawaii, you can choose between approximately 10 schools offering accounting degrees ranging from certificates to Master’s degrees. The top rated among these is the University of Hawaii – Manoa, ranked 158th nationwide by U.S. News and also present in the Forbes Top 500 Colleges List. 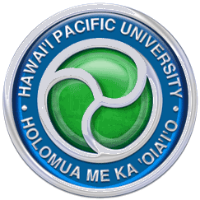 Moreover, the Hawaii Pacific University and Chaminade University of Honolulu are ranked in the top 100 Regional Western Universities by U.S. News. Hawaii accounting schools do not stand out in national rankings and accounting salaries are below average in this state. However, accounting remains one of the most thriving fields in the business world and Hawaii students can choose between some good quality programs to prepare them for a satisfying career. Accounting stands out among today’s professions because of its enviable perspectives: there is, and always will be, a need of qualified accountants in an ever-changing business world. But while a career in accounting can be both rewarding and financially secure, getting there is not easy. You need a four-year degree to get an entry-level job in the field of accounting, but if your goal is to become a CPA, you will normally spend five years in university in order to complete the required 150 semester hours. Many universities allow you to earn a Bachelor’s and a Master’s degree while qualifying for CPA certification, and higher degrees are becoming more and more common in the field. Before you can apply for a CPA license, you will need to pass the challenging CPA examination, as well as an ethics examination. Moreover, one or two years of accounting experience are required before you can work as a CPA. 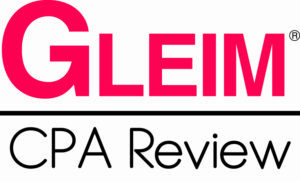 In order to sit for the CPA exam in Hawaii, candidates must hold a baccalaureate degree in accounting or an unrelated degree with 18 semester hours in upper-level accounting or auditing courses. However, in order to qualify for a CPA license, you must complete 150 semester hours including 24 hours in accounting courses and 24 hours in business courses. You must also pass all four sections of the CPA exam and complete four hours of continuing professional education in Ethics. 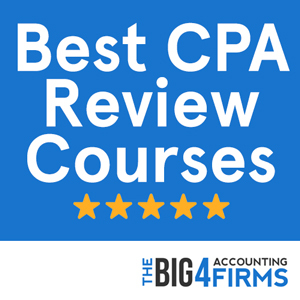 There is an additional experience requirement that you have to meet before applying for a CPA license: you must complete 1,500 hours in auditing or 2 years of accounting experience including non-public accounting. Hawaii ranks among the lowest-paying states for accountants, with a mean annual salary for accountants and auditors of $60,560 in 2013. The average salary increases to $62,160 in the Honolulu area, but does not rise above $54,000 in the nonmetropolitan areas of Hawaii. While this might seem like a gloomy perspective for an accounting graduates, it is important to remember that accounting professionals report huge variations in pay depending on experience, skills and qualifications. The highest paid percentile of accountants in Hawaii earns as much as $94,000, with the lowest paid earning $37,000 on average. There is nothing to suggest that bright accounting graduates with a CPA certification and valuable experience cannot get off to a flying start in their Hawaii accounting careers. A quality alternative for prospective accounting students in Hawaii is the Hawaii Pacific University, ranked 71st among Western Regional Universities by U.S. News. Hawaii Pacific University students can opt for a Bachelor of Science in Business Administration with an Accounting concentration that provides a broad business background as well as expertise in intermediate accounting, taxation and auditing. At the graduate level, the university offers a Master of Business Administration with an Accounting concentration that allows students to qualify for the CPA exam and prepare for the demands of an accounting career. The MBA covers advanced business law, taxation, auditing and accounting, as well as essential courses in economics, management and finance. The Hawaii Pacific University also allows accounting students to enhance their skills through internships and extra-curricular activities provided by student organizations such as the Accounting Club. With employers including the Big Four and an active alumni community, the school offers a great alternative for motivated prospective accountants looking to start their careers in Hawaii. The AACSB-accredited University of Hawaii – Manoa offers a prestigious accounting program at both the undergraduate and graduate level. Students at the university’s Shidler College of Business can pursue a Bachelor of Business Administration with a major in Accounting that devotes two years to general education, one year to broad business knowledge and a final year to specific accounting skills. Students wishing to obtain CPA certification can opt for the Master of Accounting at Shidler College. This 30-credit degree will provide them with the necessary college hours as well as with advanced expertise in taxation, auditing and financial accounting. Apart from the comprehensive coursework, Shidler College prides itself on the career development opportunities offered to accounting students. Student organizations such as Beta Alpha Psi and the Accounting Club provide extra-curricular activities, while internships allow students to gain on-the-job experience. Moreover, 84% of the university’s accounting graduates are employed in accounting-related positions, with employers including the Big Four and other major companies in the field.